Have a question? Call us today or complete the form below and we'll answer promptly. 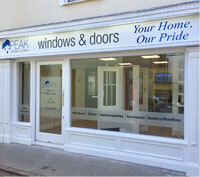 Our team collectively have over 25 years experience in supplying and fitting windows and doors to the Irish market. Throughout market changes, technology innovations and ever changing trends we have kept at the forefront of the market and still lead in this high-demand field. With a commitment to quality and craftsmanship, we are dedicated to ensuring that the right product is supplied and fitted in your home to the highest standards. Excellent after-sales care is available should you require us for anything. Contact us today. In addition to using your contact information for the purposes of your enquiry, from time to time we would like to send you exclusive offers and information about our services. We will always treat your personal data with care and will never sell, share or trade your data with 3rd Party Companies for marketing purposes. Yes - I would like to hear about your offers and services No thanks, I do not want to hear about offers and services. We cover all areas of Dublin (and surrounding area). Eric and his team installed a top class large sliding door at the back of our home. Really fast delivery and installation. Good price, not cheap but good value for money. What I most liked is that when I originally went to the shop, there was no hard sell, really easy going and great to deal with. Great job. I had two windows and a sliding door replaced. They did the job very quickly - the manufacturing part took only three weeks and the fitting just couple of hours. I'll choose them again if needed.